Running and Learning: What are the similarities? 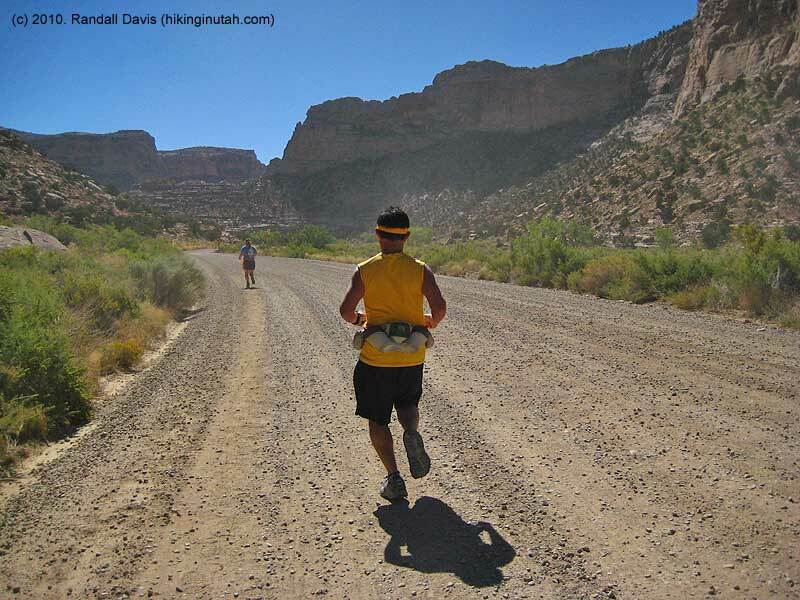 Here, I am running a marathon in the beautiful desert country of Utah. You'll notice the little pack around my waist to carry water, first-aid supplies, and food. Just like with language learning, you have to be prepared with a good dictionary, note-taking strategies, and the right mental attitude. What supplies do you think language learners need most? Share your ideas. A student told me that it was her goal to talk like a native speaker. I asked, "Are you sure that is a good idea?" Why do you think I responded that way? What is the secret of learning a language better? Share your ideas. I would like to tell you of some exciting new developments at my Web site, Randall's ESL Cyber Listening Lab (www.esl-lab.com). 1. Randall's on Twitter - So, what's so neat about that? Well, I am using Twitter to post updates and videos that can help visitors use my Web site better. Video tutorials, you could say. These videos should be able to help you become familiar with my Web sites in a way you didn't know before. 2. Randall's YouTube Channel - My channel contains videos tutorials and other information about the development and use of my Web sites. Let me know if you have questions or comments about these new features and projects. You can also contact me by email at rdavis[at]esl-lab.com.